It may be hard to fathom, but this summer three of America's greatest pop icons - Madonna, Prince and Michael Jackson - are all reaching a major milestone, they are all turning 50. Even at a half century old, the three have proven that they can still turn up the heat. Early Show national correspondent Tracy Smith took a closer look at what these three famous - and infamous - music icons have been up to recently. They epitomized the '80s when they stormed the stage with their ground-breaking, hit songs - Madonna's "Like A Virgin," Prince's "Purple Rain" and Jackson's "Thriller." They also brought their edgy fashion statements to the stage, which was mimicked by millions of followers. With hefty monikers such as "The Queen of Pop" Madonna, "The Artist Formerly Known As Prince" and "The King of Pop" Michael Jackson, the three have become legends not only in American pop culture, but around the world. "Madonna always reinvents herself, so every new album, every new tour, she has a new look," said Rolling Stone's Michael Endelman. In the true spirit of her hit song "Borderline," Madonna has always been one to shock with her "borderline" behavior. The perfect example was her racy kiss with Britney Spears in 2002, proving that the "Material Girl" was capable of just about anything. Although many didn't expect her to ever settle down, the chameleon revealed another shade of herself - when she became a mother. But even motherhood couldn't keep Madonna too far from being dragged into a scandal. Thrust into the spotlight again, it was rumored that Madonna and her husband Guy Ritchie were splitting up along with accusations that Madonna was having a love affair with the New York Yankee' Alex Rodriguez - both of which she denies. 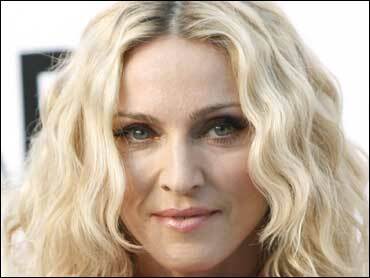 "The Queen of Pop," who plans to go on a world tour in September, will continue to reign at any age it seems. Regardless if Prince's "Purple Rain" was released two decades ago, he has remained current with his performance at the Super Bowl in 2007, proving that at his age he can still wow a crowd. Prince is scheduled to release a new album and embark on a European tour in the fall. Michael Jackson on the other hand is somewhat of a different success story. He indeed thrilled audiences for decades, but his strange behavior has earned him an unflattering nickname, "Wacko Jacko." "Michael has become more of a tabloid story than a musician," Endelman said. "He doesn't record much new music and that's where the problem lies. People who keep doing what they're doing and keep singing, keep performing and keep writing manage to grow old gracefully." The Rolling Stones have nonchalantly surpassed their 50's and are rockin' out like they always have - proving that their music can transcend generations. These may be tough acts to follow, but they have opened the door for other artists who may be rockin' in their footsteps. "I think if you're a younger act - if you're Christina Aguilera, this is great news for you that you can actually be a successful pop singer sort of well past your 20 somethings," Endelman said. Considering the staying power of Madonna and Prince, young pop stars today may be in for some tough competition when they reach 50 if these die-hards are still plugging away in the music business. Will 80 then be the new 50?